With our state-of-the-art dispatch center, Rescuers Without Borders keeps our emergency response personnel up-to-date and in-the-know. Supplying details, GPS locations, and real time video of emergency situations, the dispatch center provides our Rescuers with the information they need to respond and save lives. Through efficient communication, we coordinate our efforts together with the IDF and other emergency response teams in the region. The Rescuers Without Borders dispatch center is integral in our ability to save lives. Knowledge is not just power, it’s safety. We believe in the importance of keeping civilians updated on security and emergency alerts. With the ease of social media, Rescuers Without Borders can effectively keep our “followers” in the know and keep them safe. Our security forces on the ground keep us posted 24/7 regarding security and medical emergency situations as well as changes in security levels and alerts. 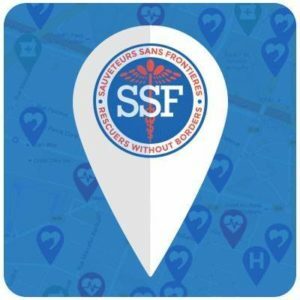 In addition to social media, our SSF app ( iTunes + Google Play: https://t.co/9uaWK917JR ) sends security and emergency alerts to keep people updated and safe. In the event that public services are not within proximity, the app allows users to alert medics and volunteers in their region. With over 600 volunteers, Rescuers Without Borders is ready and able to help. Our rescuers are skilled and trained to respond to emergency medical situations. However, the best way to save lives is to take preventative measures. With your help, we can continue to keep people safe by keeping them in the know. Due to the increase in demand for this special service Rescuers Without Borders is currently expanding our operation and dispatch center.